Fascinating video of Imogen Heap explaining her “gloves” – actually a set of instrumentation that detects body position and gestures and provides haptic and visual feedback to the performer. Package management in Perl and Linux may have seeded their existence, but app stores have been hostile to open source and failed to pass on software freedom to users. But that could be changing, and today’s exemplar could be … Microsoft. Read on in InfoWorld today as I lay out the groundwork for the discussion Amanda Brock and I will lead at FOSDEM. 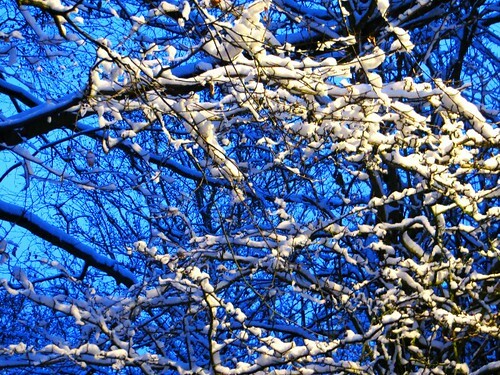 Snowy Branches, originally uploaded by webmink. 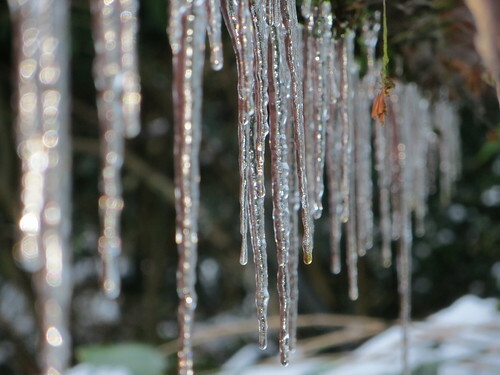 Snow is something of a novelty where we live, despite being in England. The mildness that results from being on the coast seems somehow magnified by the rivers and the shape of the landscape, with the result that snow almost never settles here. To make the most of the novelty, we took an evening walk and enjoyed the brightness present even at a cloudy dusk.